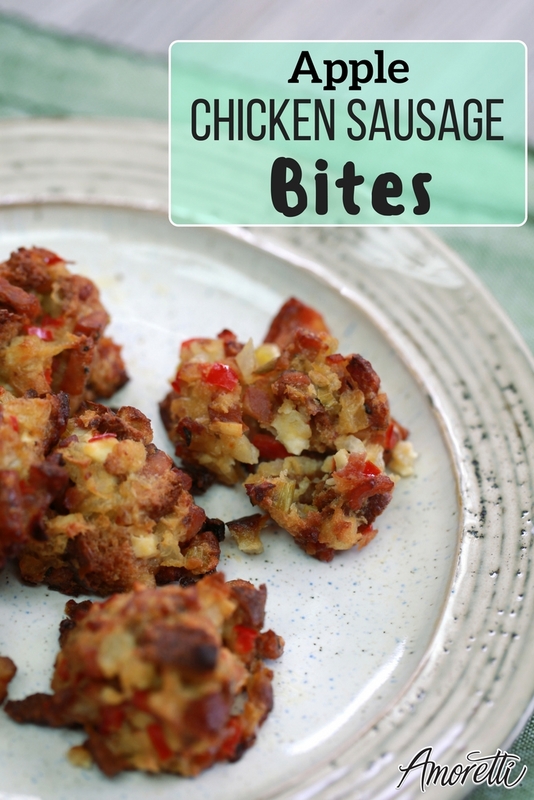 You will be amazed at how much flavor these small sausage apple bites carry, try this recipe for a great finger food! ⅛ tsp Amoretti® Rosemary Oil Extract O.S. ⅛ tsp Amoretti® Bay Oil Extract O.S. ⅛ tsp Amoretti® Oregano Oil Extract O.S. Cook bacon. Remove from pan, cool and dice. Cook diced sausage for 3 minutes. Remove from pan. Saute onion, celery and red pepper and Amoretti Extracts in butter and remaining bacon grease for 4 minutes. Add apples. Cook 2 min. Remove from heat and cool. Combine sausage, breadcrumbs, feta, onion mix and bacon. Using a small ice cream scoop press the mixture into the scoop, then into your palm, to gently squeeze and form a solid ball. Make 12 balls and bake on a parchment-lined sheet pan for 20-30 minutes at 350°F, until lightly browned.